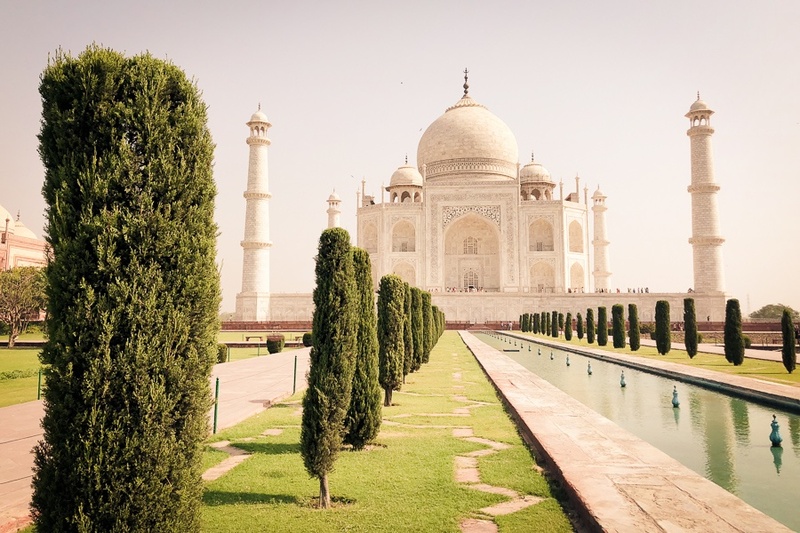 India has some amazing architecture and natural sights, with famous landmarks like the Taj Mahal in Agra, and snow capped mountains in the Himalayas. Most nationalities (except for Bhutanese and Nepali citizens) will need a visa to visit India, which is given in the form of an electronic visa (eVisa) since November 2014. This guide explains how you can apply for and get an eVisa to visit India. I went through this process as a tourist, but the process is very similar for the other visa categories as well. The Indian eVisa is for visitors coming to India on a short term trip for sightseeing, visiting friends or relatives, short term medical treatment or casual business related things. The 5 eVisa types are as follows: e-Tourist, e-Business, e-Medical, e-Medical Attendant, or e-Conference. The eVisa is valid for 60 days from the date of your arrival in India, and it’s a double entry visa (for e-Tourist or e-Business), single entry visa (e-Conference), or triple entry visa (e-Medical). It’s non-extendable and non-convertible. You can apply and pay online anywhere from 4 to 120 days in advance of your date of arrival in India, but no later than 4 days prior to arrival, otherwise the application will not be processed. If you plan to apply 120 days in advance, I would recommend leaving a buffer of at least 10-20 days to allow for delays (i.e. apply for the visa at most 100 days in advance). The eVisa is valid for entry through 26 designated airports and 5 seaports in India, including Delhi, Mumbai, Jaipur, and Goa. The full list of airports and seaports permitted for the eVisa can be found here (click the Instructions For Applicant link on the left side). Who Is The eVisa Available To? The eVisa is available to US citizens and those of 160+ other countries, and the fee depends on your country/territory. The current fee for American citizens is $100 USD. Most countries are $80 USD, but you can find the full list of fees by country here. An additional bank transaction charge of 2.5% may be applicable. The visa fee is non-refundable, even if for some reason your application is rejected. 1. Apply Online. You will need to submit an application with a personal photo and passport page. 2. Pay Visa Fee. Credit or debit cards are accepted for online payment. 3. Receive eVisa. The visa will be sent to you by email. 4. Visit India. You will need to print the eVisa and carry it with you at the time of travel. It’s important to fill out your visa application completely and accurately, otherwise it may be rejected. Sufficient Funds. You should have enough money for your stay in India (this is rarely questioned), and also a return ticket or onward ticket. Personal Photo. This should be a recent, clear photo of your face with a white background. JPEG format is required. Passport Photo. This should be your main passport page with your name, date of birth, nationality, etc. PDF format is required. If you need help changing your passport image to a PDF, you can use the following website: https://smallpdf.com. Note: If you’re applying for an e-Business or e-Medical visa, in addition to the above you will also need a copy of the business card (for the e-Business visa) or a copy of the letter from the hospital concerned in India on its letterhead (for the e-Medical visa). THIS IS IMPORTANT. There are other websites circulating on the internet that mimic this one or pretend to grant speedy visas, but those are scams and they will take your money. DO NOT USE ANY OTHER WEBSITE. I’ve provided some photos below as EXAMPLES to guide you through the application, but these are not from my actual eVisa submission. In other words, the addresses and other data I used in the images below are only examples. With that said, the pages you see in your visa application will mirror the ones shown in these images. If anything has changed in the application process since this guide was written, please let me know in the comments at the bottom of this page and I will update the guide ASAP. I will do my best to keep this entire page up to date. To begin your application, click the orange button on the left that says e-Visa Application. To begin your visa application, click the circled orange button that says e-Visa Application. Page 1 of the eVisa application. Very straightforward. After selecting continue, if you’re applying for the e-Tourist visa, then a small message will appear: “The following documents are required to be submitted. 1) Photograph. 2) Passport.” Select OK.
You have now arrived at the second page of the eVisa application form. It’s a good idea to write down the Temporary Application ID because it will be required if you have issues or need to come back to your application later. Page 2 of the eVisa application form. Personal identification details. Click Here For Same Address*: Click here if your permanent address is the same address as above, and then it will be applied. Page 3 of the eVisa application. Personal address details. Previous Nationality: Leave blank if it never changed. Applicant’s Marital Status: Select whether you’re single or married. If married (or separated but not divorced), enter your spouse’s details. If divorced, just select single. Present Occupation*: Select your occupation from the dropdown list. If it’s something else, select ‘Others’ and then enter it. The image below gives an example. Are/Were You In A Military/Semi-Military/Police/Security Organization? * Select yes or no. If yes, a dropdown will appear asking for the following: Organisation, Designation, Rank and Place Of Posting. Page 3 (continued). Family and occupation details. Have You Ever Visited India Before? * Select yes or no. If yes, enter the name and address of the place you stayed previously. Last Indian Visa No/Currently Valid Indian Visa*: If your previous visit was with an eVisa, the number will be written on the stamp given in passport. If you don’t know the number, type unknown. Place Of Issue*: United States (if it was a regular visa). Enter the airport name in India if it was an eVisa. Date Of Issue*: The date it was issued. For an eVisa, you can use the date of entry from the stamp on your passport, or possibly in your email. Countries Visited In Last 10 Years: List any countries you’ve recently visited. I didn’t have room to list all of them, so I included a partial list. This field is not mandatory. Have You Visited SAARC Countries (Except Your Own Country) During Last 3 Years? *: The list of SAARC countries can be found in the dropdown list. Page 4 of the eVisa application. Your travel details. Page 4 (continued). Travel and reference details. Page 5 of the eVisa application. Background questions. At this point you will be asked to upload a personal photo. If you need to come back and do this later, you can save and exit the application (but make sure to write down the Temporary Application ID because it will be required if you want to reuse your application later). The photo format will need to be JPEG, with a minimum size of 10 KB and a maximum size of 1 MB. Minimum dimensions are 350 pixels wide x 350 pixels high. The personal photo needs to be recent and front facing, with a white background. The picture needs to be a clear photo of your face. You can get these done at places like Walgreens, for example. Unfortunately you cannot crop your passport photo to use for this, it needs to be a separate photo. It’s important to follow all of these specifications and rules, otherwise your eVisa application may be rejected. Click choose file and navigate to the photo you want to choose; then click upload photo. After uploading the photo, you’re given an opportunity to crop the photo or upload it again if you’d like. Page 6. Upload your personal photo. Next, you will be asked to upload a copy of your passport page. This should be the photo page with personal details like name, date of birth, nationality, expiration date, etc. It should match the passport details entered in your eVisa application. The file should be in PDF format with a minimum size of 10 KB and a maximum size of 300 KB. If you need help changing your passport file from an image to a PDF, you can use the following website: https://smallpdf.com. Again, it’s important to follow all of the specifications and rules, otherwise your eVisa application may be rejected. Click choose file and navigate to the PDF file you want to choose; then click upload document. Page 7. Upload your passport. After submitting your passport upload, the next page will ask you to confirm ALL of the previous details from your eVisa application. Look these over thoroughly to make sure you entered everything correctly, because this will be your last chance to edit anything. Once you verify and continue, you will be brought to the visa payment page. At this point, you can pay for the visa now or later. Follow the instructions on the page for either option. You should also write down the visa Application ID so you can access the application again. You can pay with credit or debit card, or Paypal. I used Paypal and I would recommend this. If you don’t have a Paypal account, then the next best option is probably using your card via the Axis option. After submission and payment, you will get an email from the Indian government saying that your application was submitted successfully and will take 72 hours for processing. Generally you will hear back much quicker; in my case it was granted in under 24 hours. You MUST print the email you receive containing the Electronic Travel Authorization (ETA) and present it to the immigration officer when you arrive in India. I would recommend printing and bringing at least two copies. The government of India emphasizes that you should also track your application and make sure that the status says granted on their website (same link as above) before making your journey to India. Disclaimer: To my knowledge, the above information on this page is correct at the time and date of posting. I am not affiliated with the Government of India or their website. David, 8th December 2018. If anything has changed in the application process since this guide was written, please let me know in the comments below and I will update the guide ASAP. Last updated on December 10, 2018.